today I suggest this reading: "GPU-Assisted Malware" by Giorgio Vasiliadis, Michalis Polychronakis and Sotiris Ioannidis. their code so as to evade detection by virus scanners. build even more robust, evasive, and functional malware. The paper is interesting and easy to read. It's a short paper (6 pages) quick and fun. I totally suggest to take a break on your daily readings/writings/works to read it. this morning I wanna share some of my "Security thoughts" on "people and security" that I said during the past conference. I've been recorded and now listening to my words I decided to ''better formalize" them in few sentences. People are both the problem and the solution, the disease and the cure. It is a dog biting its tail, an inﬁnitive loop which will assure that security problems will never end independently from software engineering or security metrics. Security has been, it is, and it will be a fundamental discipline in the future of every system. as you probably know I am not used to write about vulnerabilities, but the last Twitter XSS vulnerability comes in the meddle of a vulnerability project where I am working in. The argument was how it is possible having xss vulnerabilities in 2010. My answer has been, and it is: " Because programming is Human". Humans make mistakes ... humans makes bugs that eventually become vulnerabilities. So here it is, last Twitter vulnerability is a perfect and simple XSS injection due to poor input filtering. 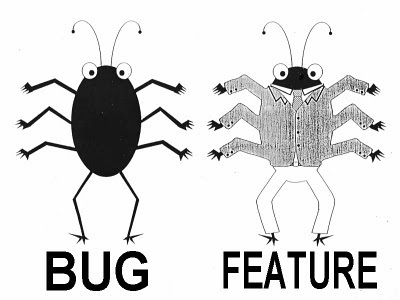 Again, none is immune to bugs, please remember the importance of penetration testing, which is the only holistic way to find vulnerabilities. 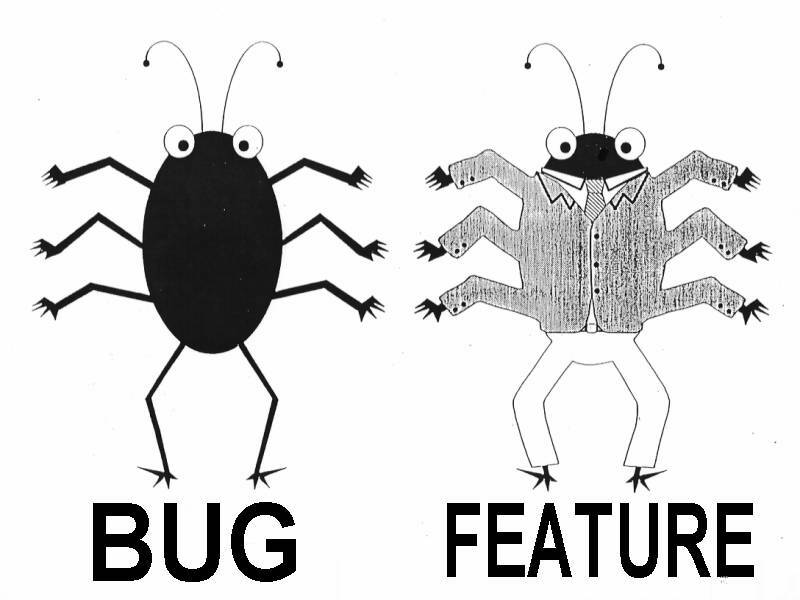 "The system administrator needs to figure out all the possible bugs to protect his system. The attacker needs to find out only one bug to compromise the entire system"
This morning students asked me about their Thesis. 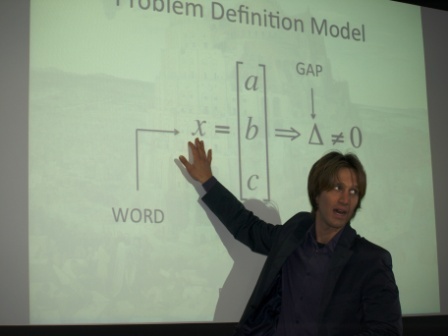 The question in both cases has been "How can I write my own dissertation ? ". So my suggestion right now is to listen to this video and keeping as much information you can hold. 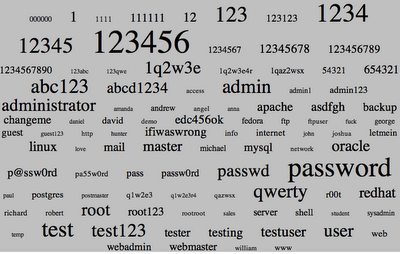 Popular Usernames and Password, in a graphic way ! 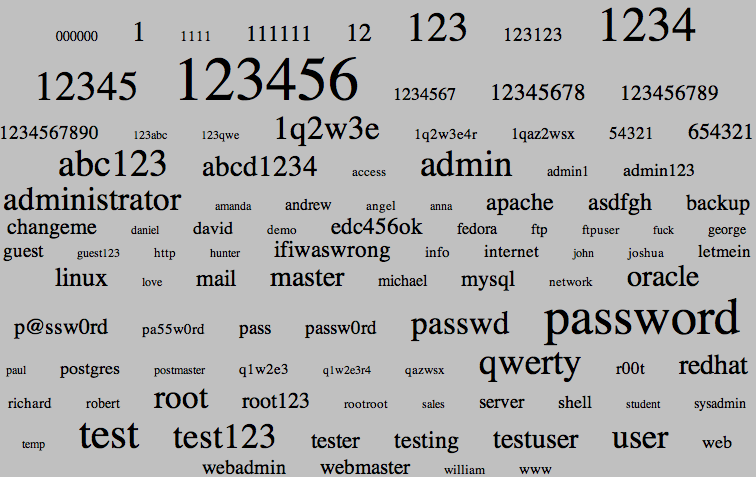 this morning I found out this interesting page showing up, in a graphic and fun way, the most used Usernames and Passwords. 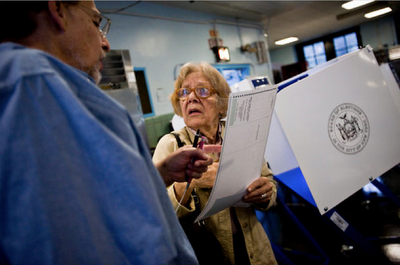 A new voting system unveiled in New York City for the primary election on Tuesday was plagued by problems, with some polling places opening hours late and others verging on chaos as workers coped with malfunctioning machines. Today I got the chance to read the Security&Privacy Call for Papers. I know, usually people reads and quotes notes from scientists or literati and not from CFP, but this time, I believe is different. The few following sentences (extracted from Security&Privacy Call for Papers) well describe the entire security panorama focusing on what security is and what security will be. Typically, disciplines mature by being “arts” first, “crafts” second, and “sciences” last. An art is considered to be the domain of people with innate abilities and singular talents. Only someone born with a talent can be an artist. A craft is teachable and so requires standardized terminology, proven techniques and an established curriculum. To become a science, a discipline needs quantifiable measures, reproducible experiments, and established laws that make meaningful predictions. Service Data: is the data you give to a social networking site in order to use it. Disclosed Data: is what you post on your own page. Entrusted Data: is what you post in other people's pages. Once you post such data you loose the control over it. Behavioral Data: is the data the web site collects about your habits by recording what you do and what you like. Derived Data: is the data about you that is derived from all the other data. For example if 80 percent of your friends self-identify as gay, you're likely gay yourself. Personally I've never heard about such Taxonomy on social media. It seems smart, well structured and really useful while you're going to describe information or data flow on social networks. I wanted to post such "data differentiation" on my blog to remember to cite Bruce's data Taxonomy on my next paper on social networks. If you get the chance read it. With pleasure I announce that my paper on "Multi Stage Delivery Malware" has been accepted to the 5th conference on Malicious and Unwanted Software (Malware 2010). I Have several readers from France, if you area around Nancy from october 20 to october 21 please let me know, we might have a beer together !